For the past three years, we've been ranking the top boutique consulting firms to work for, as part of an effort to differentiate between life at the better-known names in the field, and those that are either up-and-coming, or which prefer to fly below the radar. 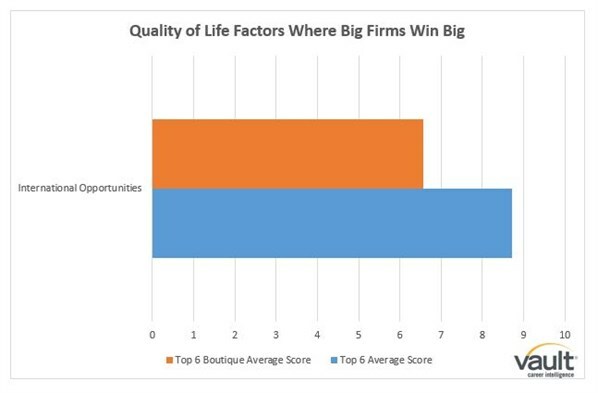 For this post, I thought I'd take a look at some of the differences between life at a big firm and a boutique, as told in the data provided in our 2016 consulting survey. So if you're wondering what specifically separates the boutiques from the big names in the industry, this is the post you've been looking for. Why work for a boutique? 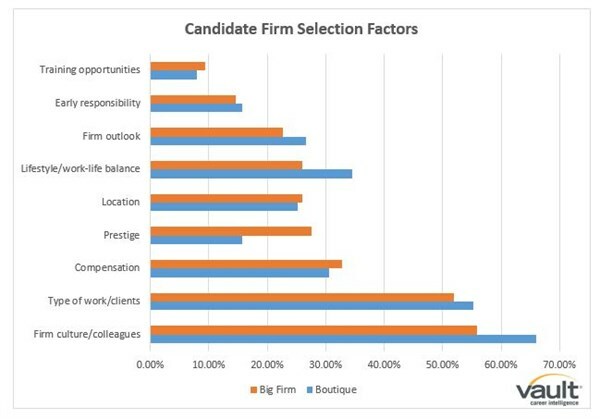 As you can see in the following chart, there are some big differences in the reasons why big firm consultants and those at boutiques choose their firms. (Note: we ask consultants to choose their 3 most important reasons from a pre-set list. The percentages displayed indicate how often individuals from each selected the factor as one of their 3 choices). First things first: no matter which firm you work for, it's clear that 2 things dominate the decision-making process: the feel you get for the company and the people you interview with, and the type of work and clients you'll be serving. Beyond that, compensation clearly matters quite a bit too, which is to be expected. 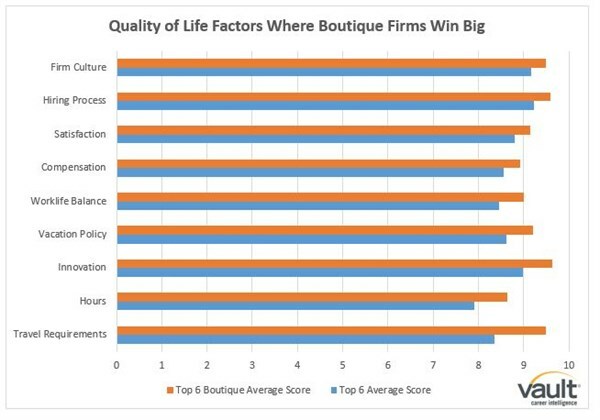 But note the three major differences between the two sets shown in the chart: compared to their big firm counterparts, boutique consultants clearly prize culture and colleagues more highly than prestige—and they're significantly more likely to choose a firm because of the work-life balance it offers. Obviously, happiness is a tremendously difficult subject to measure, which makes the question above an extremely difficult one to answer. But here's what the survey data tells us: most of the time, on the majority of quality of life factors we polled them about, boutique consultants gave their firms higher ratings than their counterparts at larger firms. Note: for this section, I limited comparison to the results from the top 6 firms in each category—i.e., the top 6 boutique firms vs the top 6 large firms on the Consulting 50(which in this case happened to be the top 6). 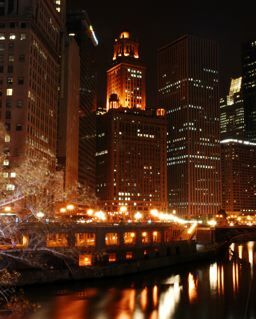 Why 6 firms? There's a simple answer to that: there was a tie for 5th in the Consulting 50, so to make it a fair comparison, I included both firms, and added the 6th-placed firm on the boutique ranking. As you can see, boutiques really clean up when it comes to travel and hours, which feeds through a bunch of those other factor as well, including work-life balance, firm culture, and overall satisfaction. And, if you can remember all the way back to the previous chart, that shouldn't be surprising: you'd expect people who value work-life balance and firm culture when choosing a firm to score their firms more highly in those areas, assuming they'd done their research properly before signing a contract. I should also point out that, of the 19 Quality of Life factors I looked at, boutiques came out ahead in 15, and big firms in 4. However, all told, 8 of those decisions were by less than 0.25 points—close enough to make them pretty much neck-and-neck races. That's right: smaller firms tend not to have the same international opportunities as larger firms with offices all over the world. So if that's something that you view as important to your career or life goals in general, you're better off sticking with a globe-spanning giant. 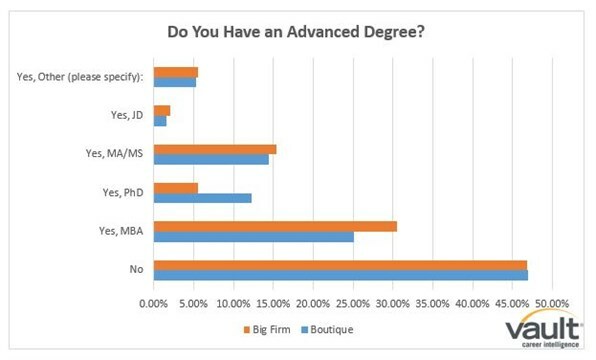 At first, I was a little puzzled as to that discrepancy: why is it that boutique consultants are so much more likely to have PhDs? But then I remembered the sample I was dealing with: our top 6 boutique firms contains 2 firms that specialize in life sciences, and one that specializes in economic consulting—professions that are rife with PhD-holders. That raises one final point that it's worth bearing in mind when thinking about which type of firm you'd like to work for: there are many paths into the consulting world, and no two firms in any category or sector are alike. While this kind of data is helpful in underlining general trends in the industry, it doesn't imply that the "boutique" or "big firm" label will automatically imply anything about a specific firm's policies or business model. As such, your best bet for figuring out which firm you'd want to work for is to research the firm thoroughly, get a feel for the place throughout the interview process, and ask as many questions as you possibly can before you make a commitment.